There’s a certain aura to visiting Disney World in the winter. It’s the end of the year, the holidays, a time of vacation. It’s located in one of the best climates you can experience in winter. There are crowds, but there is also a lot of celebration. There are special attractions, but with heavy traffic. 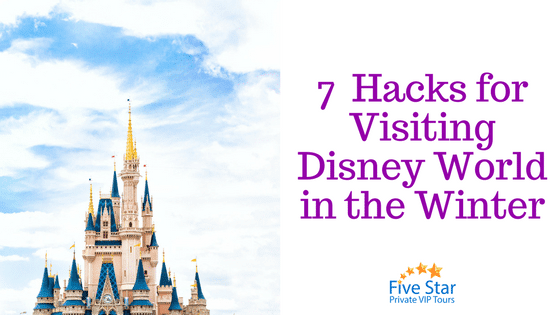 Without having the right plan, as well as the right guide for getting around Disney World, you could find yourself stuck in the parking lot, stuck at the entrance, stuck in the parks, and stuck leaving. If you do it the right way, however, you can most definitely have one of the most magical experiences of your life. This is one of the best strategic plans you can have for getting around Disney World in the winter. A Private VIP Disney World Tour will get you there, to and from the venue, and give you special access to all rides and attractions. For more information on what benefits a Private VIP Tour can provide for your winter trip to Disney, please click here. It’s said that one of the best views in Disney is found when taking the boat ride at Fort Wilderness. Fort Wilderness is considered a very relaxed spot, especially when Disney gets crowded. Make sure to bring a pen with you to Magic Kingdom so you can get your favorite friends’ autographs. Fun fact: you can even get your hair cut on Main Street. You want to get to Disney early to “beat the rope drop.” This is when the cast members drop the curtain to allow guests to park. However, did you know that you can get even earlier access to the park? It’s called staying on-site. Not to mention, you’ll never have to deal with tourist traffic. There are also several exclusive holiday-themed events that happen at the various Disney World resorts. If you’re expecting rain, plan which park and attractions you’re going to that may be accessible in the rain. It’s also important to pack a poncho. The most difficult park to attend on a rainy day is Animal Kingdom. One of the best places to go to during a rainy day? Believe it or not, Disney Springs. It’s also suggested to resort hop through the hotels, and to try out some of the restaurants. There are several hidden Mickey symbols on various rides and attractions. It’s a neat reason to pay special attention to and celebrate the gorgeous architecture of Disney. You should download a guide or an online list of where the hidden Mickeys are placed. Throughout the winter some rides and attractions may go through a phase of being repaired or replaced. This is called a refurbishment period. We recommend checking what attractions are closed prior to your visit to help make the best decision. If you’re considering a Disney vacation, contact us today to learn about our private VIP tours. Want to get to the front of the lines with no wait? We can make that happen! Call us today.